Are You Tired Of Getting Peanuts For Your PLR Products? 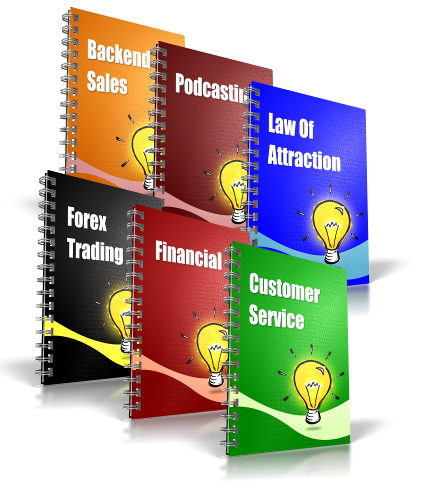 Explained in Layman’s Terms by One of the World’s Top PLR Creator / Makeover Experts? Starting Today You Can Master The Techniques To Makeover Your Cookie-Cutter PLR Products Into Prize Winning, Profit Pulling Product Creations! BIGGEST PROBLEM – People stamp their name on a PLR product and sell it. By doing that, the full potential of the PLR product is not being used. If you’re just the same as 1000’s of other people out there that are doing the same thing, then your sales will be few and far between. At this point most will simply drop the price so it is lower than the others – then the price war begins and before long, what may have been a quality PLR product is now being given away. Creating & marketing your OWN digital products is where the sustainable big bucks are at! PLR Products will help you fast track the product creation process – BUT HOW? The answer is change the PLR product so dramatically that it looks nothing like the original and has many features added onto it that it sells many times more. Grab a copy of Your PLR Makeover training series and discover the shortcuts, tips & techniques to transforming your Private Label Rights content into profit pulling products! Use PLR as the “mid point”, not the ending point. It’s just the beginning, and the PLR product has helped you jump over the starting point. If You STRONGLY Desire To Master The Skill Of Making Money AT WILL From Private Label Rights – Whether You Have PLR eBooks, PLR Articles Or PLR Videos, This Is Going To Be The Most Important Letter You Will Ever Read. Allow me to introduce myself. My name is Steve Dougherty. 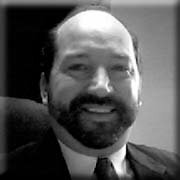 I created these training videos with the hope that you will benefit from my years of experience in creating and re-purposing private label rights content. I’ve been editing & creating private label & white label products since 2007 as my primary source of income. Over the years I’ve developed techniques and shortcuts that have allowed me to save time & money in creating my own products with the help of other peoples PLR products. Now you can benefit from my years of hard work! Without years of experience and buckets of cash, you just CAN NOT begin to even think about creating your own hi-quality fast-selling info products. Right??? What if I told you, better yet, SHOWED YOU that after you have watched these powerful video tutorials you will be able to create profit pulling products from your private label rights products – As Often As You Want..
Quit stressing over where & how to acquire quality PLR. You will discover power tips on searching for PLR products, buying them & making sure you were not ripped off. Say goodbye to disparately trying to sell the same eBook everyone else is. You are minutes away from watching me show you step by step how to completely makeover a PLR eBook. Say farewell to the fear of editing PLR videos. Trash your excuses of not being able to afford the tools for editing PLR. I show you how to use the PLR editing tools – many are FREE And those that aren’t have FREE Trials. Profit from them then buy them! These are just a few of the keys to the castle you will receive when you have added these videos to your online money making tool-box! Your PLR Makeover Video Series! This video one of the PLR Makeover series will introduce you to the entire video series. You will learn how to give your plr products a complete makeover from top to bottom. The goal is to maximize your ROI & these videos will get you to that goal. Time to learn and earn!! In video 2 we are going to help you understand what exactly a PLR product is. You will learn a bit of history behind private label rights products as well as a few different types of plr products. Video 3 will show you a few different places to start your search for quality PLR products of varied types and niches. Most anybody can look down when they are outside and find a rock – If you know where to look, you may look down and find a gold rock or a diamond. In this video we will cover some things for you to think about as to whether you will need or should get a domain name and web hosting. This information may be one of the most overlooked and yet, potentially most profitable parts of your PLR makeover process. This video will introduce you to several tools (many of them are FREE) that you should have in your PLR Makeover toolbox. I’ll demonstrate how to use most of these tools throughout these videos as I repurpose a PLR report (short eBook) right before your eyes. In this video, you’re going to learn the importance of a product title and some tips on what to think about when coming up with a new title for your one of a kind soon to be newly created product. In this video, we’re going to begin our ‘eBook’ (technically it is a report) makeover by creating a new cover image. For this, I’m going to be using GIMP, which as mentioned earlier, is a Photoshop-like image editor. Only GIMP doesn’t cost you anything. Now in this video, we’re going to replace the original e-cover image with that new one that we just created in the previous video. So let’s get to work. This video will show you a quick & easy way to scour through the entire eBook and replace every instance of the original title with our new title. Super simple once you know how. This video will walk you through the signup process of several major affiliate programs and then we’ll either replace existing affiliate links within the PLR eBook or add our own. I also cover the good and bad point to having affiliate links within your PLR product. This video will show you how to update, add or simply replace existing images within our eBook project. This simple step is often overlooked but will help make your repurposed eBook stand out from the crowd. The Header & Footer of the document can be both informative for the readers of the document, as well as a branding opportunity for the creators of the documents – that’s you and I. In this video, we’re going to look into how to add a header and/or footer or edit an existing header and/or footer. In this video, we will be editing the resource page at the back of our report. Of course if your eBook or report doesn’t have a resource page, then this video will help you with some ideas on how to add one, and what to add to your resource page. One nice feature of any eBook or report is a table of contents that you can click on the chapter title or page number and you’ll be taken to that page. This video will show you a couple ways to create and edit an existing TOC. Now that we’ve finished editing our report, it’s time to convert this document into a secure PDF. That way nobody else is going to be able to copy or change anything inside of our new report or eBook. This video will show you how using the same FREE tool we’ve used in most of the previous videos. In the next several videos, we’re going to be editing our PLR videos. This video will look at some of the tools we’re going to be using. In this video, we’re going to look at adding an intro and outro or call to action images to our video. Like a lot of the items I’m going to be covering in these videos, there’s likely many different ways to add the intro and outro images to your videos depending on what type of video editing software you’re going to be using. Some videos should have a watermark and others should not. This video will touch on that as well as how to add a watermark to your videos. In this video we will be changing the look of the PLR video by adding images and callouts to either cover up existing images & callouts or to simply add value while making the video more unique. It’s easier than you may think. In this video, we’re going to be altering the audio part of our PLR video. There are actually several ways that you can alter the audio. We’re going to be making it sound higher or lower pitch than the original. The previous video covered what is likely the easiest way to alter how your video will sound. This video will show you a couple tips & techniques to synchronize (re-align) your re-recorded voiceovers with the original video. In this presentation, I’m going to show you how to add more content to your PLR video. I’m going to be showing you how to add a different video to your existing video, but you can also do the same thing with adding images, audio files, or most any other media for that matter. So let’s roll up our sleeves and dive in. In addition to editing your PLR, you can also repurpose it. In this video, I’m going to show you one way that you can repurpose your PLR video into a graphical eBook. Basically that’s an eBook with pictures. In this video, I’m going to show you how to create an interactive table of contents for the people that want to watch your videos. Now this is just one way to change the look of how your customers are able to watch your videos. In the previous video, we created an interactive table of contents (TOC) for our videos that we combined into one large video. In this video, I’m going to show you how you can produce that type of video so that it can be embedded on a website and be playable on any device and in any browser. Most PLR packages nowadays includes some kind of marketing pack that has a sales page for you to sell the web-ready products that you’ve re-purposed. This video is going to show you some things to consider in re-purposing the sales page before you put it online. This video will show you how to get your edited & repurposed PLR products online and ready to make sales. A few items this video will show you is creating and adding PayPal buttons (even customizing the buttons), the need for policy pages and that some metadata is a good thing. Plus.., what is metadata? For The First Time Ever… YOU Too, Can Master The Tips And Shortcuts To A High Quality PLR Makeover! I could only teach a limited amount of people if I had done this on a one-on-one basis, so I created this full-blown course where I reveal several tricks, tips and techniques I have learned in the past 7 and a half years that can bring you massive success with making money from improving the end product from your PLR content. Tips & shortcuts on editing your PLR videos like completely changing the look and sound by synchronizing your own re-recorded voiceovers. These training videos provide you over-the-shoulder style training. Just like I was there in the room with you. Out of the box thinking. You’ll see step-by-step how to re-purpose your PLR video into a graphical eBook, then securing it. You’ll learn quick techniques on making over a sales page. Creating your own custom (or plain) PayPal buttons then adding to the ‘New’ sales page. When you download, watch and apply what you’ve learned from the Your PLR Makeover Video Tutorials, it’s virtually impossible to fail! You just have to reach out and grab it! This BONUS PLR Package Contains In Demand Products PLUS Additional Related PLR Content For You To Add Your Own Pizzazz And Produce Your Own Unique Product. Between the Your PLR Makeover Training Videos AND these BONUSES, you now have ZERO excuses for not creating your own profitable products. “I’m always 100% satisfied. It seems like each one is better than the last. I hope you keep on making them because you truly are one of the few people that puts out quality PLR products, and every Internet Marketer can always use more quality PLR products. Thanks a bunch buddy! Imagine, this time tomorrow you could have your own information product making you money without having to go through all the hard work of topic research, and video production. PLUS – I’m removing all the risk from the equation by giving you a full 30 days to kick the tires and bank the cash with my 30 Day Money Back Guarantee! When you purchase the Your PLR Makeover Video Tutorials you will have a full 30 days to review the entire course and ensure your satisfaction. But just in case… you are fully covered by my iron clad, no quibbles satisfaction policy, which means if you are not totally delighted with this program you will get a prompt and courteous refund. Are You Ready To Add Your PLR Makeover Training Videos and the value added BONUSES to the income stream in your online business? Remember, you have everything to gain and ZERO to lose with my iron-clad 100% money back guarantee! YES, Steve! I Am Ready To Absorb The Information From The Your PLR Makeover Videos Starting Right Now! I am acting FAST — So please let me take advantage of this amazing offer for just $57 before you come to your senses and raise your price or remove these videos altogether! I understand that I have a full 30-day money-back guarantee to examine my copy of the Your PLR Makeover series of videos. It is on that basis that I am clicking the secure Buy Now button below to download my copy this instant! Grab Your Videos Now – Before Your Competition does!! Marketing Package which includes your mobile responsive sales page & thank you (download) page. Also includes all the images, banners & PSD source files of the banners, images and even the minisite. Unbranded Sales (2 versions of video 01 so you can use either) & sample videos including the Camproj files for you to edit as you see fit, or use as-is. An Authentic License for Your Private Label Rights PLUS the Authentic User (Personal Use Rights) License that you pass to your Customers. The Camproj & AVI source video files for all the videos PLUS the PSD source file for the opening & closing call to action images on each video. There is a video on how to edit these PSD files along with several other ‘Extra Training’ videos in the Members Dashboard page available only to buyers of the White Label / PLR version. The PSD file includes 13 additional background looks. The WMV & MOV (1280×720 HD) source video files for all 27 videos. These are in case you want to edit the videos but do not have or want to use Camtasia Studio 8. Both White Label AND Non-White Label ‘Looks’ of the Unbranded, High-Definition 1280×720 MP4 video formats for all videos. The Value Added Bonus of your own Product Creation Kit for 6 in-demand niches. Practice Plus Profit Equals Success! PLUS as with all my products, you also receive my over-the-top Customer Support. I personally reply within 2 or 3 hours to all support requests – 24 hours tops! OR, if you are currently only wanting to Learn these shortcuts, tips and techniques and NOT resell for 100% profit, then here is the branded Personal User Rights version. 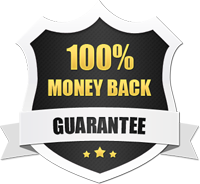 PS: Remember your purchase of the Your PLR Makeover Tutorials are covered by a 100% money back guarantee – so you risk nothing if it doesn’t live up to your expectations. PPS: Once in a lifetime opportunities present themselves at times when we least expect them – and right now this opportunity of a lifetime is staring you right in the face.. You just have to take a hold of it with both hands and go for it! Learning to repurpose and edit your PLR content just doesn’t get any easier than this. Don’t waste another second wondering ‘what if’ – say ‘why not’..
ACT NOW and start making the ‘what-if’ into a reality! We make every effort to ensure that we accurately represent these products and services and their potential for income. Earning and Income statements made by our company and its customers are estimates of what we think you can possibly earn. There is no guarantee that you will make these levels of income and you accept the risk that the earnings and income statements differ by individual. As with any business, your results may vary, and will be based on your individual capacity, business experience, expertise, and level of desire. There are no guarantees concerning the level of success you may experience. The testimonials and examples used are exceptional results, which do not apply to the average purchaser, and are not intended to represent or guarantee that anyone will achieve the same or similar results. Each individual’s success depends on his or her background, dedication, desire and motivation. There is no assurance that examples of past earnings can be duplicated in the future. We cannot guarantee your future results and/or success. There are some unknown risks in business and on the internet that we cannot foresee which can reduce results. We are not responsible for your actions. The use of our information, products and services should be based on your own due diligence and you agree that our company is not liable for any success or failure of your business that is directly or indirectly related to the purchase and use of our information, products and services. All names of products and/or services mentioned are registered trademarks or trademarks of their respective companies. Get It Change It Sell It. 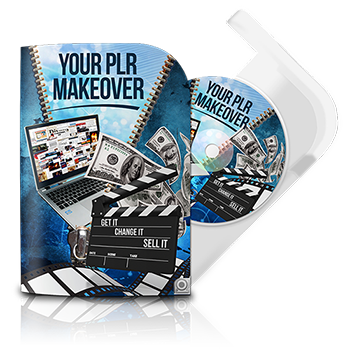 Your PLR Makeover is a set of training videos that detail how to edit your PLR content for a higher return on your investment.